On the third day to Christmas, my RKEO friend gave to me, 3 more months in the EU. Or will it be? Who knows with Theresa May quoting The Jam with ‘the public gets what the public wants’ and the rest of her Cabinet quitting. Assuming it’s all still going ahead, get your Horizon 2020 application in quickly. Find out what’s on offer here. If you want advice on any of the H2020 calls, please contact Ainar Blaudums for more information. If you don’t know Ainar, see the second day of Christmas blog post to find out all about him. This event (click here to register) has been organised to inform participants of the upcoming opportunities in the Research Infrastructures (RIs) Work Programme 2018-2020. 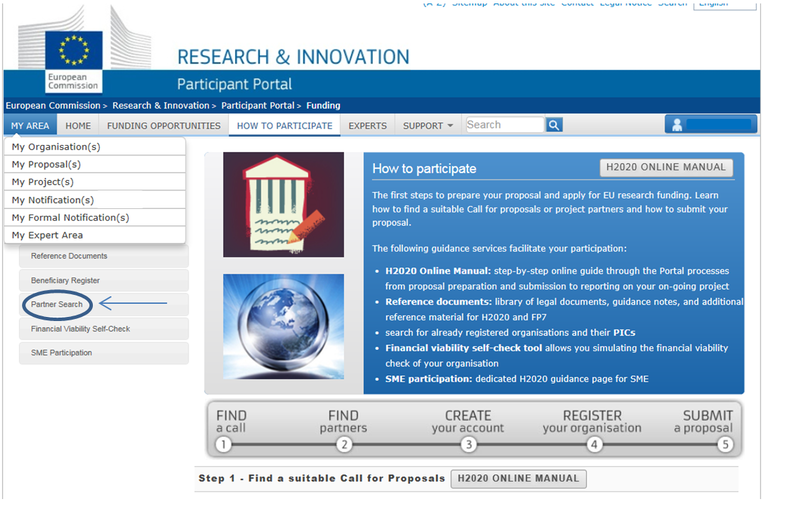 The work programme is expected to be published on the Participant Portal during October. The formal close of the meeting will be 14.30 but there will be an opportunity to stay for an additional half an hour until 15.00 to ask individual questions. Development and long-term sustainability of new pan-European RIs (This includes design studies for brand new RIs and specific opportunities for projects on the ESFRI roadmap for the Preparatory Phase and Individual Support). Implementing the European Open Science Cloud (Including topics on Access to commercial services through the EOSC hub, Connecting ESFRI infrastructures through Cluster projects and Support to the EOSC Governance). 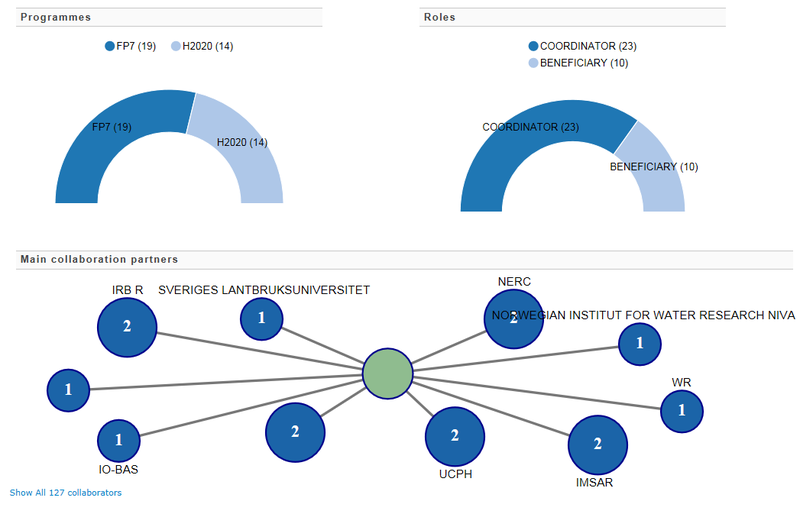 Integrating and opening RIs of European Interest (There is a call in both 2018 and 2019 for Advanced Communities, these communities have been pre-selected and have received at least one previous grant for networking, transnational access and joint research activities. 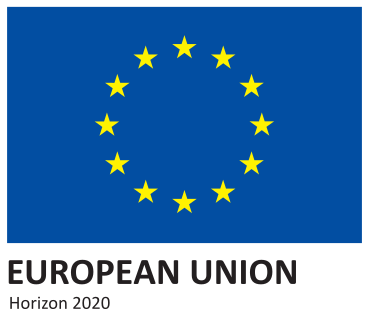 European Data Infrastructure (Including topics for PRACE, Centres of Excellence on High Performance Computing (HPC) and Support to the governance of HPC). Demonstrating the role of RIs in the translation of Open Science into Open Innovation (There is a call for stimulating the innovation potential of SMEs and to create a network of RI Liaison and Contact Officers). Support to policy and international cooperation (There is a call for Policy and international cooperation measures for RIs). Research infrastructures are facilities, resources and services that are used by the research communities to conduct research and foster innovation in their fields. Where relevant, they may be used beyond research, e.g. for education or public services. They include: major scientific equipment (or sets of instruments); knowledge-based resources such as collections, archives or scientific data; e-infrastructures, such as data and computing systems and communication networks; and any other infrastructure of a unique nature essential to achieve excellence in research and innovation. Such infrastructures may be ‘single-sited’, ‘virtual’ or ‘distributed’. is it possible to estimate the potential impact of any future reductions in EU and EEA migration and how may these be felt differently across the economy and society? How could business adjust if EU and EEA net migration was substantially reduced? What mitigating actions could be taken by employers and government and over what timescale? Are there advantages to focussing migrant labour on highly skilled jobs or across the entire skills spectrum? What lessons can be drawn from the approach taken by other countries. The government remains steadfast in its plans to include students within net migration figures. There has been limited understanding on how far students contribute to migration until recently when Migration Watch UK published a report showing that in the last seven years nearly 200,000 grants of settlement (approx. 27,000 per year) were made to non-EU citizens who entered the UK to study. Despite this recent report the quality of migration information, particularly relating to the economic activity of immigrants, is not robust and the Economic Affairs Committee has called for this to be addressed to facilitate the intended new immigration system. The Lords have also stated the Government must devise a better way of accounting for the departure of international students. 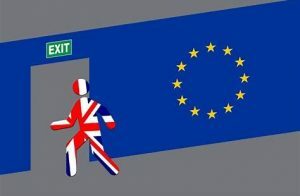 Meanwhile rumours of a transition deal whereby free movement of EU citizens into the UK will continue for two to four years after Britain leaves the EU. Politics Home reports this would allow British business to avoid the ‘cliff edge’, with a new immigration system introduced after that period. Local MP Tobias Ellwood broke ranks recently declaring he believes the drop in EU students to be as a result of uncertainty around Brexit. Q: Gordon Marsden: What plans her Department has to ensure that changes to immigration rules will not reduce the number of EU students able to study in UK universities. A: Brandon Lewis: We are working across Government to identify and develop options to shape our future immigration system. Parliament will have an important role to play in this and we will ensure universities and the higher education sector have the opportunity to contribute their views. Q: Gordon Marsden: What discussions she has had with university representative bodies on the effect of changes to immigration rules on students from the EU studying in UK universities. A: Brandon Lewis: [The same response as above was given] We are working across Government to identify and develop options to shape our future immigration system. Parliament will have an important role to play in this and we will ensure universities and the higher education sector have the opportunity to contribute their views. Q: Edward Vaizey: What plans the Government has for the relationship between the UK and the European Research Council after the UK leaves the EU. A: Joseph Johnson: This Government wants the UK to be the go-to place for researchers, innovators and investors across the world, and we intend to secure the right outcome for the UK research base as we exit the European Union. As my Rt Hon. Friend the Prime Minister has said, we would welcome an agreement to continue to collaborate with our European partners on major science, research, and technology initiatives. However it is too early to speculate on the UK’s future relationship with the EU Research and Innovation Framework Programme, which includes the European Research Council. The Government is committed to ensuring the UK remains a world leader in international research and innovation. T-levels delayed – Apprenticeships and Skills Minister Anne Milton confirmed the first T-levels (new technical qualifications for the 16-19 age group) have been delayed until 2020, with the remaining T-level routes planned to come on board from September 2022. This was welcome news to the sector – awarding bodies had been calling for an extension to the ‘impossible’ timescale, no appointments had been made to the T-level advisory development panels, and the DfE had challenged the plan to only have one awarding body per qualification. Pippa Morgan, Head of Education & Skills at the Confederation of British Industry, said the delay was “welcome news” because the technical education reforms were “important and complicated”. David Hughes, Chief Executive of the Association of Colleges, welcomed the timetable change because T-levels will require a “massive effort because of the complexity of the change, but also because we also collectively need to challenge the snobbery and unfairness which goes well beyond the education system”. HE Patterns and Trends – UUK published Patterns and Trends in UK Higher Education 2017 covering the period 2006/7-2015/16. Disadvantaged backgrounds – Students from a wider range of backgrounds are now entering higher education, with the number of 18-year olds from disadvantaged backgrounds on full-time undergraduate courses increasing by 52% since 2006 and reaching record levels in 2016. Demand for courses – Entrants to full-time first-degree, postgraduate taught and postgraduate research courses have increased considerably since 2006–07 (by 31.2%, 30.5% and 25.7% respectively), and the proportion of 18 year olds applying and entering HE were at record levels in 2016. However, demand for part-time courses has continued to decline, with entrants to part-time first degree courses falling by 28.6% and entrants to other part-time undergraduate courses by 63.1% since 2006-07.
International staff – Non-UK nationals accounted for nearly two thirds of growth in all academic staff since 2006-07. For some subjects, such as engineering, and the humanities and language-based studies, non-UK nationals have accounted for most of the growth in academic staff numbers (63.5% and 54.6% of growth between 2006–07 and 2015–16 respectively). Staff equality and diversity – Between 2009–10 and 2015–16, consistent increases are reported in the number and proportion of both black and minority ethnic (BME) and female professors. BME professors increased by 50.7% over the period (compared to 10.5% for white staff) and female professors increased by 41.8% (compared to 6.5% for males), however both groups are still under-represented among professors in 2015-16. Employment – Young and older graduates have had consistently lower unemployment rates and higher earnings compared with non-graduates, even during recessions. In 2016, graduates aged 21-30 were 40% less likely to be unemployed compared to non-graduates in the same age group. There is a forward-looking chapter on some of the emerging demographic, technological, economic and political changes and the opportunities and challenges for the sector within the full document. A: Joseph Johnson: “Studying part-time brings enormous benefits for individuals, the economy and employers. Government regularly assesses the reasons for the decline in part-time undergraduate numbers since their peak in 2008 but does not hold data on their household income background. We are committed to helping people from all backgrounds enter higher education in a way that suits them and we have taken action to support those who to choose to study part-time. These actions include: From 2012, the offer of up-front fee loans for eligible part-time students, to level the playing field with undergraduate study; From academic year 2018/19, the introduction of undergraduate part-time maintenance loans, to bring greater parity of support between part-time and full-time; From 2015, the relaxation of Equivalent or Lower Qualification rules, so students who already hold an honours degree qualification and wish to study part-time on a second honours degree course in engineering, technology or computer science, have qualified for fee loans for their course. This is being extended for academic year 2017/18 to graduates starting a second part-time honours degree course in any STEM subject”. Q: Angela Rayner: What assessment she has made of the effect of (a) rising tuition fees and (b) the abolition of maintenance grants on the increasing proportion of students from disadvantaged backgrounds who are dropping out of higher education; and if she will make a statement. A: Joseph Johnson: “The Department for Education published an equality analysis in May 2016, to cover the reforms set out in the Success as a Knowledge Economy White Paper , that were subsequently taken forward through the Higher Education and Research Act (2017). This included an assessment of the impact of allowing institutions who were successful in the Teaching Excellence Framework (TEF) assessment process to increase their fees up to inflation. The Department also published in December 2016 an Equality Analysis for the 2017/18 student finance package, which covered both the increase in fees and accompanying loan support. These assessments concluded that this change was unlikely to significantly alter participation decisions. Tuition fees will not increase in real terms and Higher Education and publicly funded institutions will remain free at the point of access for those who are eligible, as tuition fee loans will increase to cover increased tuition fees”. Equality Analysis – Higher Education and Research Bill (published May 2016). “Non-continuation rates for UK students at English Higher Education Institutions are lower than in 2009/10, including for the most disadvantaged students. Analysis by the Higher Education Funding Council for England (HEFCE) has found that students’ age, subject studied and entry qualifications account for a substantial portion of the gap between the most and least disadvantaged students. “Young people from the poorest areas are now 43% more likely to go to university than they were in 2009/10. Not only are application rates among 18-year-olds in England at record highs, but drop-out rates for young, mature, disadvantaged and BME students are all lower now than they were when the coalition government came to power in 2010. “By measuring retention rates as one of its core metrics and requiring all participating providers to submit a statement for fair access, the TEF aims to recognise those institutions that do the most to welcome students from a range of backgrounds and support their retention and progression to further study or a graduate job. Student Loans (Debt Interest) – a Bill to limit the rate of interest chargeable on outstanding student loan debt; and for connected purposes. Student Loans (Debt Discharge) – a Bill to make provision about the forgiveness or discharge of student loan debt in certain circumstances; to make provision about the treatment of student loan debt in bankruptcy proceedings; and for connected purposes. Benefits and Public Services (Restriction) – a Bill to make provision to restrict the entitlement of non-UK citizens to publicly-funded benefits and services; and for connected purposes. Q: Lord Hunt Of Kings Heath: What assessment they have made of the report of the Institute for Fiscal Studies on the public cost of student loans. A: Viscount Younger Of Leckie: The Government has noted the recent report by the Institute for Fiscal Studies. The student funding system is fair and sustainable. The cost of the system is not an unintended loss, nor a waste of public money. It is the policy subsidy required to make higher education widely available, achieving the Government’s objectives of increasing the skills in the economy and ensuring access to university for all with the potential to benefit. Q: Lord Hunt Of Kings Heath: What estimate they have made of the long-term cost of providing student loans. A: Viscount Younger Of Leckie: The Government’s reforms to the undergraduate student finance system have ensured that it is financially sustainable for the taxpayer in the long-term, while enabling those with the talent to benefit from a higher education to be able to afford to do so. The Resource Accounting and Budgeting (RAB) charge estimates the value of loans that will not be repaid during their 30-year term, expressed as a percentage of the loan outlay made in the relevant year. For full time tuition fee and maintenance loans and part time fee loans issued in 2016/17, we estimate the RAB charge to be around 30%. Although so far this summer things haven’t gone particularly quiet, we are expecting less policy news over the next few weeks, so we will only send an update if there is enough interesting news – we’ll be back at full tilt in September. On the 18th July Jo Johnson confirmed the governments commitment to underwrite all H2020 projects where the application is submitted before the UK’s departure from the EU. He confirmed that this includes two stage application processes as long as the first stage is submitted before we leave and the application is subsequently approved. The government’s underwrite will also include schemes not directly administered by the Commission but that award Horizon 2020 funding. See the full speech here on UKRO’s website. To make full use of BU’s subscription to this service, why not register now? Abstract: As one of the most popular social media, Twitter has attracted interests of business and academics to derive topics and apply the outcomes in a wide range of applications such as emergency management, business advertisements, and corporate/government communication. Since tweets are short messages, topic derivation from tweets becomes a big challnege in the area. Most of existing works use the Twitter content as the only source in the topic derivation. Recently, tweet interactions have been considered additionally for improving the quality of topic derivation. In this talk, we introduce a method that incorporates social interactions such as mention, retweet, etc into twitter content to derive topics. Experimental results show that the proposed method with the inclusion of temporal features results in a significant improvement in the quality of topic derivation comparing to existing baseline methods. In this talk, we will explain the general idea of Matrix Factorisation and how it is applied in topic derivation, the experiment set up, and experiment results analysis. Dr. Jian Yang is a full professor at Department of Computing, Macquarie University. She received her PhD in Multidatabase Systems area from The Australian National University in 1995. Before she joined Macquarie University, she worked as a senior research scientist at the Division of Mathematical and Information Science, CSIRO, Australia , and as an assistant professor at Dept of Computer Science, The Australian Defence Force Academy, University of New South Wales. Dr. Yang has published over 200 papers in the international journals and conferences such as IEEE transactions, Information Systems, Data & Knowledge Engineering, CACM, VLDB, ICDCS, ICSOC, CAiSE, CoopIS, CIKM, etc. She is the member of steering committee of the prime international conference on service oriented computing (ICSOC). She has been general chair and program committee chair of several international conferences such as ICSOC. She has served as program committee member in various international conferences such as: ICDE, CAiSE, ICSOC, ER, CoopIS, ICSOC, BPM, ICWS, SCC, WISE, etc. She is also a regular reviewer for journals such as IEEE Transactions on Knowledge & Data Engineering, Data & Knowledge Engineering, VLDB Journal, IEEE Internet Computing, etc. Her main research interests are: web service technology; business process management; social network based data analysis; interoperability, trust and security issues in internet.